Author(s) Young, James O.; Young, James O.
Philosophers and art critics have often found themselves pulled in two directions when they reflect on judgements about aesthetic properties and aesthetic value. On the one hand, every aesthetic judgement seems as good as any other. If, say, you like Justin Bieber, who is to say that your judgement that Bieber's music is great is wrong? On the other hand, the judgement that Bieber's oeuvre is greater than that of J.S. Bach seems to be clearly mistaken. 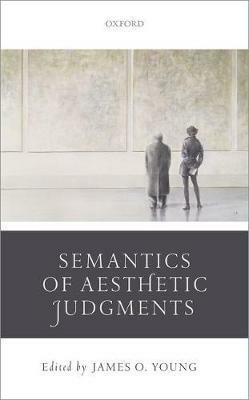 This volume brings together some of the leading contemporary philosophers of art and philosophers of language to debate the status of aesthetic judgements. Are they simply expressions of personal preference? Is there more basis for saying that a painting is beautiful or serene than there is for saying that a cake is tasty? Is disagreement about aesthetic judgements faultless or can someone be mistaken about the aesthetic value of an artwork?